Combining each member’s regional expertise and capabilities to create a suite of seamless services,Uniforce Group offers a broad range of Road Transportation solutions. Our extensive domestic and international networks provide the level of coverage you need. 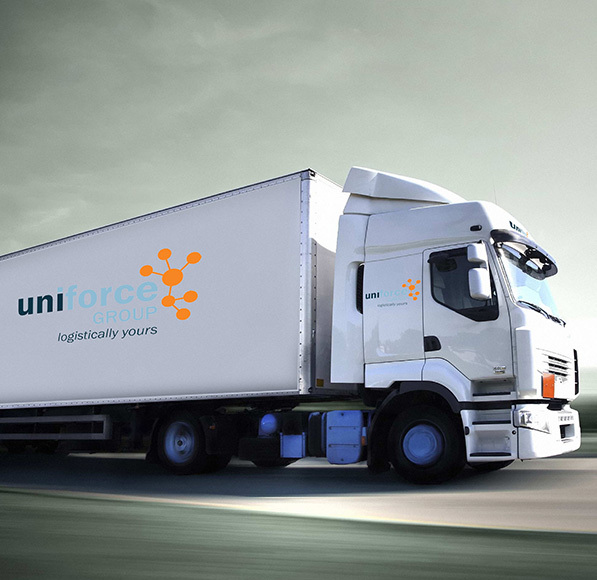 Whether you are trucking across town or across the continent,Uniforce has the ideal transport solution and level of excellent service you expect and deserve for all of your road transport needs. We offer a variety of services and modes of transportation for domestic trucking including less than Truckload (LTL) , time sensitive shipping, full truckload, and intermodal shipments. We work with you to find the most effective and efficient solution for your freight, utilizing our domestic networks and market experience. We service all size of shipments, containers, and vans. Hereby we offer a variety of specialty services including flatbeds, step decks, and air-rides. Our international road transport services get your freight across border and delivered in a quick and cost efficient manner. We have an extensive tightly connected network of haulage options and connections available to move your freight by road from and to every destination. Each of our members have a wide range of expertise and offerings in their local markets, ensuring all aspects of the transportation are properly executed. This results in punctual and reliable service that you can trust. In addition to standard services we also provide customized solutions built around the specific needs of your shipment including guaranteed delivery before a certain time, temperature control or additional security measures for high-value cargo.